Peter Holben was born on 31 July 1775. He In 1804 , the Lynn Twp., Northampton County, Holbens moved toNorthumberland County, Upper Mahanoy Twp., 50 miles to the West. Amongthem were Jacob II, his wife, Catherine, and their children, John,Peter, Daniel, and at least one daughter, Susanna, and the newlywed,Jacob III. In1820, Peter's dad, Jacob II, died at the age of 72. Hisdeath caused the group to remember his deed/dower agreement ofFebruary 6, 1804 leaving his farm in Lynn Twp., Northampton County tohis sons Christian and Jacob. On August 12, 1820 the agreement dated 6February 1804 was recorded in Northumberland County. Before the estateof Jacob II could be settled, Jacob the III, the administrator, diedunexpectedly, intestate. He left a widow, Elizabeth, and seven minorchildren. Elizabeth waived her right to be administratrix and thecourt appointed Jacob's brothers, John and Daniel, as administratorsas well as de bonis non of the yet unsettled estate of old Jacob II.By the time the estate was distributed and settled in 1830, PeterHolben had moved from the area. Samuel Holben was born in June 1819 at Pennsylvania, USA. He married Christena Gruver, daughter of John Gruver and Catharine Gruver, in 1841. Samuel Holben Places of Residence: Lived above New Bethlehem, PA. Tombstone inAlcola Trinity Cemetery near Hawthorne, PA. states Samuel Holben,died 17 April, 1894, aged 74 yrs. & 15 DS. A flag next to the gravehas a GAR shield with 1861-1865. Inscription on stone: Our father hasgone home. Book: Who, When, Where, Volume 1, Jefferson County, PA., by Patricia M. Steele, Marriage Records 1852-1855 and Death Records1893-1906. (a) Holben, Samuel, white, male, 74 years, 10 months, 15days, born Northhampton, farmer, died 4/16/94 @ West Reynoldsville,'dropsy', 4 months, buried Reformed Graveyard 4/18/94 John and SusanHolben (5/28/94) (b) Jefferson County, PA., Marriage License Book No.4, No. 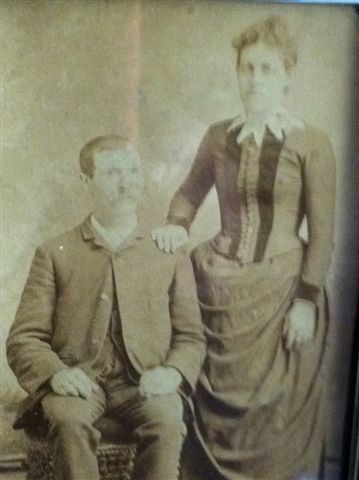 104, 11/27/1888 at Ringgold by W. D. Reitz J. P. : Holben,Samuel, 68 years, Armstrong County, farmer, born Schuylkill Co., PA.,first marriage, 1841, wife died 10/22/1886, parents names not listed,and Powell, Christiana, 43 years, of Ringgold, housekeeper, bornIndiana County, first marrriages 1862 and 1871. One husband died 1878,parents names not listed. Microfiche Index, Allen County PublicLibrary, Fort Wayne, Indiana: Samuel Holben, Co. M, 2 Pa Cav, Pvt,Pvt ; no unit history in the Fort Wayne files. I have other childrenlisted as Salome and Gaston. I think this is a mix up with the Doneyfamily- they have a Salome and a Gerson. This needs to be checked out.I don't know where I got this information. Book: Trinity ReformedChurch Records, Alcola, Red Bank Twp., Clarion County, Pa. 1820-1850.No Holbens are listed in this book. I have been to this church andcemetery twice and the Holbens are buried there. Check this book forGruvers. Call No. G.C. 974.801 C54 Jefferson County, Pa. DeathRecords, Books 1 & 2; Holben, Samuel; W, M, Age at death, 74 years,10 months, 15 days; Married; POB Northampton; Farmer; Died 4/16/1894;POD West Reynoldville; Died of Dropsy, Duration, 4 months; Place ofInterment, Reformed Graveyard, Clarion County; April 18, 1984; Father,John Holben; Mother, Susan Holben Recorded, May 28, 1894. In April1995, I received papers from the National Archives regarding SamuelHolben's application for a pension based on his Civil War Service.Samuel was a Private in Co. M, 2nd Pa. Volunteer Cavalry, PensionClaim No. 717,236. Included in the packet was an affidavit of JacobGruber (Note: Is this guy a relative of Samuel's wife? ), a resident ofSeigle, Jefferson County, Pa. dated August 6, 1889. Jacob states thathe has known Samuel for 70 ? years, that he was sound and healthy atthe time of his enlistment, that he saw him in the hospital atKittaning with rheumatism, that he got the rheumatism standing guard,and that he never had rheumatism before his military service. Twoother undated affidavits prepared by neighbors, Jacob Markle and JacobSchreckuyosh?, residing in Pierce, Armstrong County, Pa. are included.Both state that they knew Samuel as sound and able before he enlistedin October 1861 and that since his discharge he has had rheumatismwhich has disabled him fully one half from manual labor. Also includedis a Declaration for Original Invalid Pension form, partiallycompleted by Samuel Holben. It states that during his military servicehe contracted rheumatism caused by exposure. He was in the hospital atCamp Orr, Kittanning, Armstrong Co., Pa. and was treated by hisregimental surgeon, Dr. McCullough for rheumatism from which he hassuffered ever since. Since leaving the service he says he has been afarmer residing at Pierce, Armstrong County, Pa. Witnesses whoverified his identity were Tobias Schick and Jacob Holben ofBrookville ?, Pa. The date was 24 June 1889. A paper in the file fromthe Department on the Interior, Bureau of Pensions dated September 13,1889 states the Samuel Holben enlisted October 1st, 1861 and wasdischarged at Camp Orr, Pa. November 5, 1861. While serving in the 2ndRegiment Pa. Cav he was disabled by rheumatism- time and place notstated. Another paper from the War Department, Record and PensionDivision, dated 8 November 1889, states Samuel Holben was enrolled onthe 1st day of October 1861, at Salem?, in Co. M, 2nd Regiment ofPenna Cav Volunteers to serve 3 years during the war. On the Musterroll of Co. M of that regiment for the months of November and December1861, he is reported discharged by physician date and place not given,muster roll of company not on file. Investigation fails to elicitfurther record of this man's discharge than is stated on Companyrolls. A letter dated October 6, 1906 addressed to Samuel J. Holben,Freeport, R.D. 2, Pa. states that further action could not be taken onyour claim because the records of the War Department failed to showyour date of discharge. There is no record to indicate that a pensionwas approved. He died on 16 April 1894 at Jefferson, Pennsylvania, USA, at age 74. He was buried on 18 April 1894 at Jefferson, Pennsylvania, USA. Sara Holben was born in 1849. Solomon Holben was born in 1841. He Civil War Service: Enlisted in the 78th Regiment Infantry atKittanning on August 14, 1861. He would die of disease at Camp AndyJohnson, Tennessee on March 21, 1862. I assume this boy was fromArmstrong County, Redbank Twp., but I am not sure. He may have beenfrom Branch County, Michigan, or maybe his parents lived there. Sue Lareda 'Suzie' Holben was born on 23 January 1886. Susanna Holben was born in 1848. Susannah Holben and husband on their wedding day. Theobald Holben was born between 13 April 1748 and 1749 at Pennsylvania, USA. He Occupation: Blacksmith. He died on 18 April 1837. He was buried at Pennsylvania, USA. Twide Ralph Holben was born on 19 February 1883. He married Mae Elizabeth Haugh, daughter of William Benjamin Haugh and Clara Jane Long, on 14 February 1905 at New York, USA. Twide Ralph Holben died on 16 March 1965 at age 82. Wendel Holben was born between 1 July 1751 and 1752 at Pennsylvania, USA. William F. Holben was born in 1866. He died in 1943. Edwin Jackson Holsomback was born on 27 August 1906 at Texas, USA. He married Velma Pearl Denbow, daughter of Jesse Wakefield Denbow and Georgia Ann Harper, on 11 October 1930 at Navarro, Texas, USA. Edwin Jackson Holsomback Reference: Death Certificate in Navarro Co., Texas. He died on 25 February 1966 at Corsicana, Navarro, Texas, USA, at age 59. He was buried at Navarro, Texas, USA. Ira Hooper married Lucretia Bobo, daughter of Joshua C. Bobo and Sally Reynolds, on 9 January 1845. Minnie Vera Hoover was born on 25 May 1885. She married Issac Stanton Denbow, son of James Tanner Denbow and Sarah Catherine Rose, on 26 June 1906 at Ohio, USA. Minnie Vera Hoover married (?) Shaw in 1916. Her married name was Denbow. Her married name was Shaw. Minnie Vera Hoover died on 25 November 1955 at age 70. Lewis Horm Lewis Horm was a country fiddler. Horace Houcks was born in 1907 at Ohio, USA. He married Bernice Miracle, daughter of Earl Miracle and La R. Vanfossen, in 1937. Alice Hudson was born in 1844. Elizan Hudson was born in 1838. James Hudson married Mary Lucretia Bobo, daughter of Jared Bobo and Lucretia Burton, on 11 October 1821 at Athens, Athens, Ohio, USA; Named after Athens, Greece; home of Ohio University. Jarrad Hudson was born in 1832. Joseph Hudson was born in 1841. Robert Hudson married Julia Ann Bobo, daughter of Jared Bobo and Lucretia Burton, on 20 January 1825 at Athens, Athens, Ohio, USA; Named after Athens, Greece; home of Ohio University.